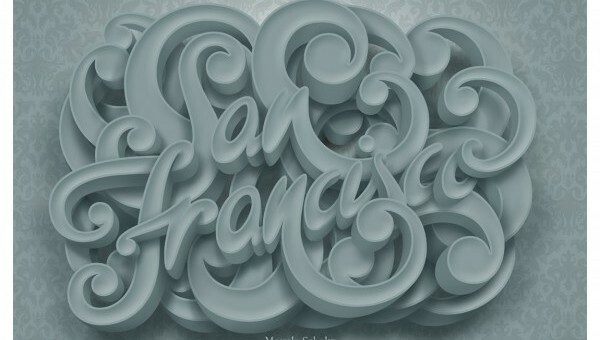 Yes, we love typography and seeing various type projects is just a great source of creative inspiration. While hand drawn lettering amazes us, transforming the designs on paper into digitally rendered vector artworks brings us to the next level of creative awesomeness. So in today’s “Typography Thursday” post, we will feature some of the works of Brazilian Illustrator Marcelo Schultz, showcasing his typography projects in both sketched and digitally rendered forms. This project is about Marcelo’s trip to San Francisco, celebrating his experience and inspired by the Victorian style architecture. This is a personal project of Schultz utilizing the Harley Davidson brand. This is a commissioned t-shirt design project for Nike HQ – Portland using elements from Nike Air Max series. This is an illustration/typography artwork for Pioneer, a client of NesianStreet (Australia) showcasing PRS-D800 Class FD 2-Channel Bridgeable Amplifier. This is another personal project of Schultz celebrating Friday! Another personal poster design project of Schultz representing how much he loves coffee. A wallpaper design inspired by the portfolio website, Shadowness.com. Schultz used a Gothic style of type. Which among those projects is your most favorite? Check out more of the awesome works of Marcelo Schultz on his Behance portfolio or through his personal website. Share us your thoughts and suggestions for next week’s Typography Thursday post by leaving a comment below. Stay awesome everyone!